From the first cut in the log to the end result, producing top quality wood panels depends on people with knowledge, technical skills and good judgement. We can provide training plans, support and qualifications - tailored to your businesses specific needs. We partner with industry associations like the Wood Processors Manufacturing Association and members of your industry to help recruit and build talented employees. This support includes promoting careers in your industry, identifying potential learners, and encouraging work placements. We also ensure your industry’s qualifications continue to meet needs, support industry events like conferences and regularly celebrate your learners’ success. 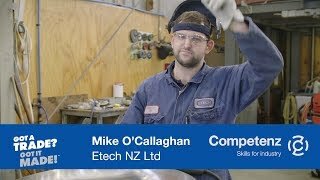 When apprentices enrol, we assign them a Competenz account manager. Our account managers understand the industry and the skills learners and businesses need to gain. In some cases two programme options exist for each qualification. A shorter duration option may be chosen if the trainee already holds some of the required units and will therefore complete the qualification in a shorter time. The purpose of this qualification is to provide the wood panel manufacturing industry with people who have introductory knowledge relevant to entry-level roles in the wood panel manufacturing industry. Graduates will be capable of working safely in entry-level operational roles under close supervision. Use basic wood panel manufacturing skills and knowledge to carry out basic entry-level tasks. Communicate and work collaboratively and effectively as part of a team within a wood panel manufacturing worksite. Apply basic health and safety and environmental skills and knowledge to work responsibly and safely within a wood panel manufacturing worksite. The purpose of this qualification is to provide the wood panel manufacturing industry with people who have the skills and knowledge to achieve production requirements as operators under limited supervision in a wood panel manufacturing operation. Graduates will have the technical skills and knowledge required for the safe and efficient operation of plant and equipment used for either finishing composite panels, or manufacturing LVL, plywood, or overlay bonding or veneer products - four strands have been included in this qualification to cover these types of wood panel products. Assess and minimise risk to self, others and plant equipment. Apply a range of skills and knowledge to support productivity, quality and performance improvement. Use plant and equipment to produce quality products. Monitor production parameters, identify faults and take corrective actions. Carry out preventative maintenance and cleaning. Communicate operational conditions and issues. Use LVL or plywood plant and equipment to produce quality products. Monitor production, identify faults and take corrective actions. Select, handle, and load raw materials used in overlay bonding. Carry out waste management and cleaning. Use machinery, equipment to carry out tasks specific to overlay bonding. Use veneer preparation plant and equipment to prepare quality veneer products. The purpose of this qualification is to provide the wood panel manufacturing industry with people who have technical skills and knowledge relevant to operational roles in composite wood panel manufacturing. Graduates will have the technical skills and knowledge required for the safe and efficient operation of complex plant and equipment used to prepare, form, and press composite wood panel products. Assess and minimise risk to self, others and plant equipment in a complex composite panel operation. Understand production processes used in composite wood panel manufacture. Apply a range of skills and knowledge to support the control of costs, product quality and performance improvement in a complex composite wood panel manufacturing operation. Use composite panel manufacturing plant and equipment to produce quality products and meet productivity requirements. Monitor production parameters, and identify operating and equipment faults and take corrective actions required to control complex composite panel manufacturing plant and equipment. Carry out plant and equipment preventative maintenance and cleaning.